We were pretty surprised to find out just a few days ago that Mini's new rally team had, for some reason, failed to sign up for next year's World Rally Championship. "Inexplicable" is what we called it at the time, but the latest reports coming out of the UK where the team is based could serve to cast some light on the situation. Not only has the outfit - run by the rally gurus at Prodrive (who have, in the past, run Subaru's rally team, as well as Aston Martin and Ferrari works efforts at Le Mans) - missed the filing deadline, but they'll also reportedly let their best driver go. The reason? Funding, apparently. Although the team supposedly benefits from factory backing, a lack of sponsorship has reportedly left the team strapped for cash. 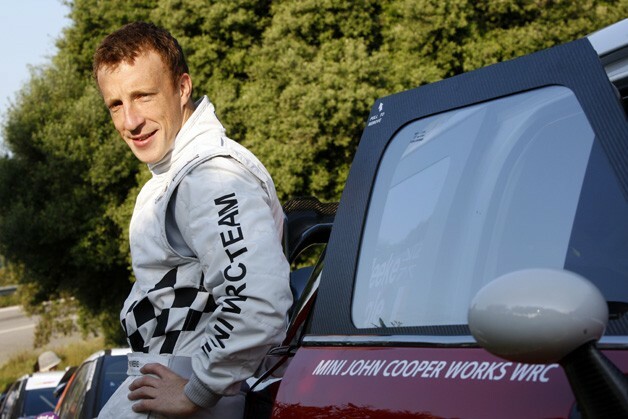 As a result, Northern Irish driver Kris Meeke - who was called up to the WRC team after claiming the 2009 title in the Intercontinental Rally Challenge - and his co-pilot have reportedly been released from their three-year contract after only one year. Meeke's seat will reportedly be auctioned off to the highest bidder - that is, whoever comes with sponsorship dollars, pounds or euros already lined up. Former Citro&euml;n WRC driver Dani Sordo, however, will reportedly carry on with the team, assuming it can secure its entry for the upcoming season. How a factory-backed team like Mini's could find itself without enough funding has us scratching our heads, but our compatriots over at Autocar point to parent-company BMW's costly new entry into DTM next season as a potential answer.Mini dumps rally driver due to budget issues originally appeared on Autoblog on Mon, 26 Dec 2011 10:29:00 EST. Please see our terms for use of feeds. Also how much money are they expecting someone to bring? I.e supposedly Atkinson has $2m a year behind him but in the scheme of things i.e. Prodrives annual budget that is not particularly much. That wont happen for a very, very long time. If you're prepared to pay for it, Prodrive still produce Group N subaru's for the pwrc... But even then... RSSP in argentina have surely got that market share..
One must brake with the left hand and steer with the right foot. Having Defi's does not make Racecar..